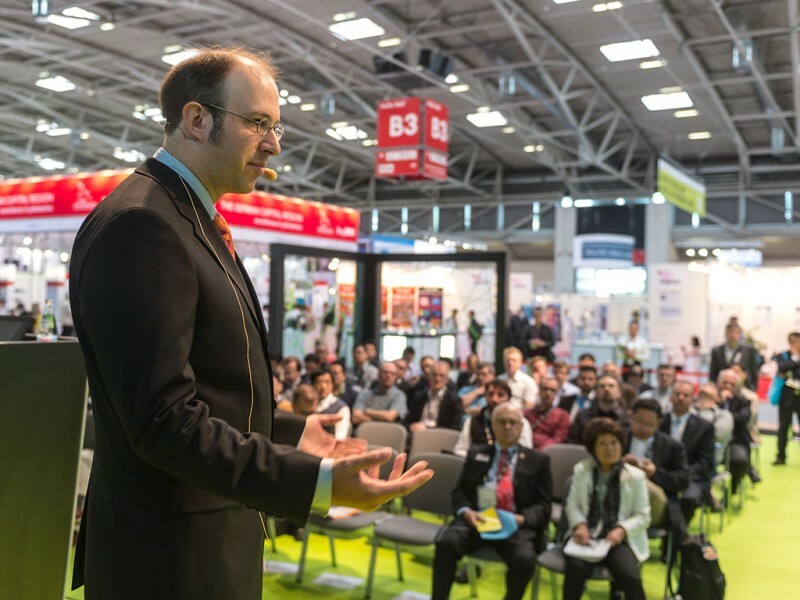 Around 1300 exhibitors and more than 30,000 visitors are expected at the LASER World of PHOTONICS and World of Photonics Congress from June 25 to 29. The world’s leading trade fair for Photonics Components, Systems and Applications at the Munich exhibition site offers a lot more than big numbers. Awaiting visitors is a high-quality supporting program with a special show, guided tours, award ceremony, makeathon, and much else besides. 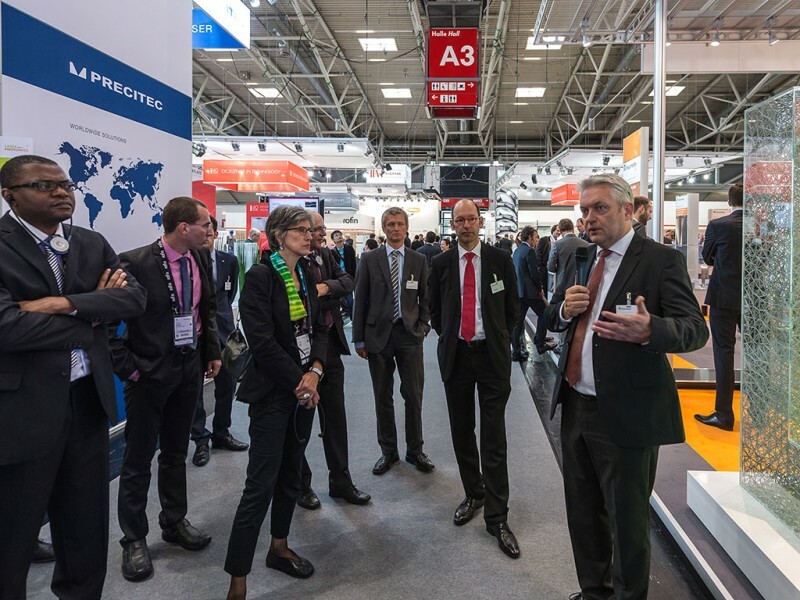 The opening ceremony of the trade fair and Congress will be at 09:30 on June 26 in the ICM and will be dedicated to the future of photonics from different perspectives, with speeches by Dr. Peter Leibinger, Deputy CEO of TRUMPF and Prof. Peter Loosen, Director of the Fraunhofer Institute for Laser Technology ILT. The multiple award-winning scientist Prof. Jörg Wrachtrup will then open the World of Photonics Congress with his lecture on the Photonics megatrend quantum technology—“Putting a spin on photons”. Visitors can look forward to three premieres on the trade fair supporting program: In the Make Light MAKEATHON (June 27 to 28, Hall B3) teams of students and young engineers create innovative prototypes within just 24 hours before presenting them to an expert jury. Experts are involved with the new guided tours as well: The tours provide guidance on specific questions about a topic and direct participants to the appropriate exhibitors. The topics range from laser technology for e-mobility to process monitoring for laser welding. Trends are also the focus of the third premiere: The expert panel on Photonics 4.0 (June 27, 10:00 to 12:00, Photonics Forum in Hall A3) discusses the opportunities and challenges that Industry 4.0 presents the Photonics world. The platform for the industry’s young talent traditionally covers a broad spectrum: In addition to the premiere of the Make Light MAKEATHON there is Start-Up World (Hall B3) as a joint space for young entrepreneurs and the finale of the PHOTONICS Award (June 27, 10:00 to 12:00, Hall B3). Five teams of company founders with their products will compete with each other and face questions from the jury in short sessions. For graduates, the Career Center (Hall A3) is the first port of call for embarking on a career in photonics. The special show “Photons in Production” (Hall A3), covering 300 square meters of exhibition space, affords a comprehensive insight into current trends and research findings in laser material machining. For example, trade visitors can witness live welding of high-strength steel. The application panels are also dedicated to specific laser and Photonics application areas: The lecture “Lasers in Microelectronics”, for example, provide insights into why many miniaturized, electronic systems that put the “smart” into homes and business life would simply not be feasible without laser technology. 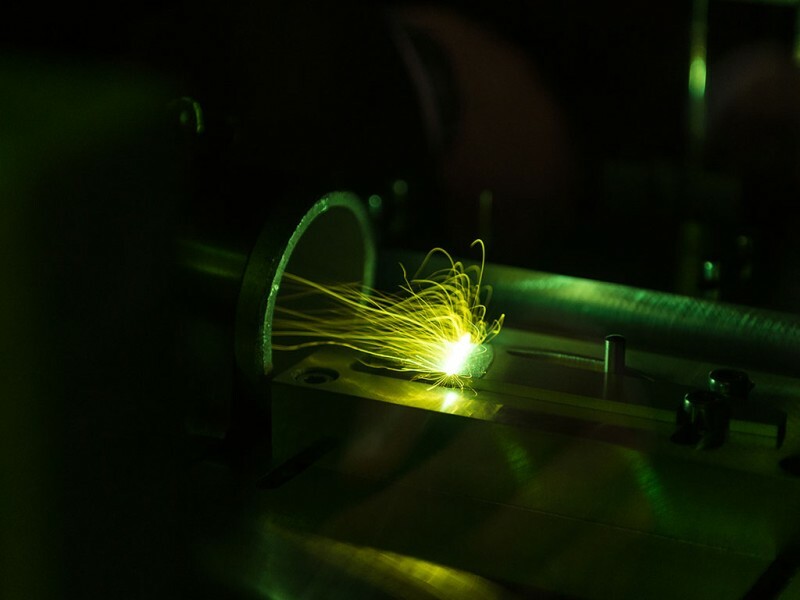 The seminar on markets and trends in Laser Materials Processing (June 28, 12:45 to 17:00 in the conference room of Press Center West) addresses executives in the laser industry. Part of the conference deals with the development of the global market and important regional markets, such as China, Japan or Turkey. The second focus area of the conference includes lectures on topical issues arising from the laser applications and new technologies arenas. For example, Dr. Dirk Mueller, Director of Strategic Marketing, Coherent Inc, USA, will be talking about “Laser Processing for Advanced Semiconductor Packaging—An Enabling Technology and Market Opportunity”. New: LASER World of PHOTNICS offers guided tours. The supporting program of LASER World of PHTONICS offers a strong knowledge-transfer. The special show „Photons in production“ provides deep insights.